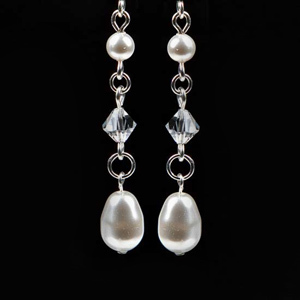 Product ID: 732 SKU: N/A. 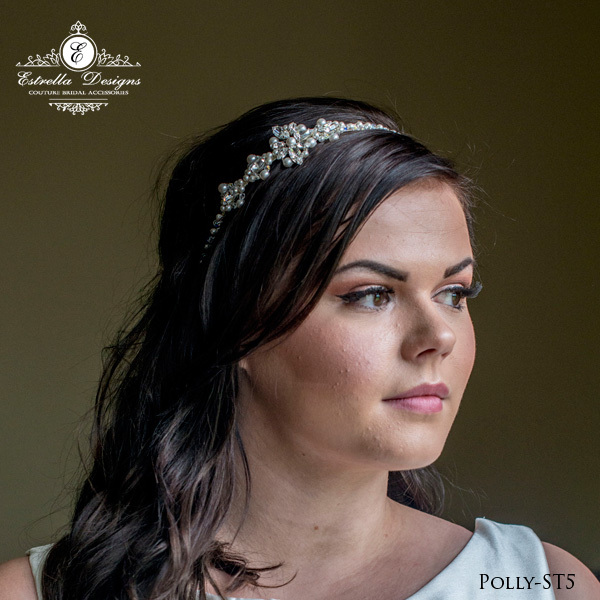 Categories: Bridesmaids Hair Pieces, Side Hair Pieces, Tiaras & Headbands. 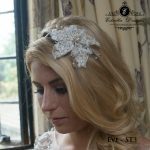 Tags: diamante leaves, navettes, Swarovski Crystal. 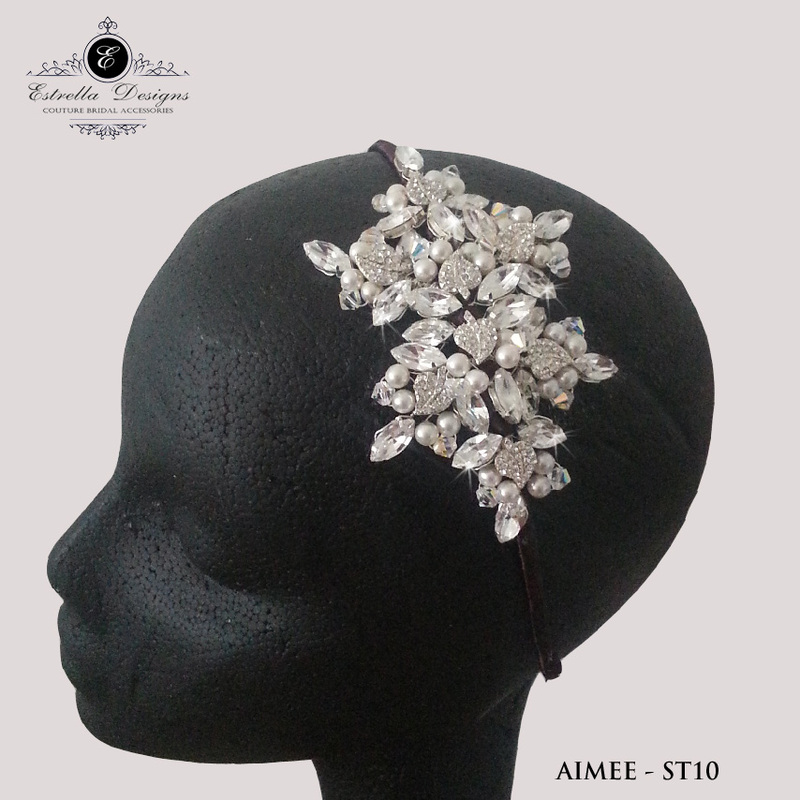 Aimee is a fabulous Art-Deco statement side tiara piece. 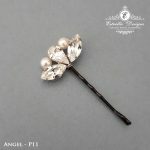 This piece is full of navette shape Swarovski crystals, swarovski clear crystals, swarovski pearls and diamante leaves.